The judicial determination of liability for, and the assessment of an amount in compensatory damages will often involve the presentation of factual evidence as well as of expert evidence, in turn requiring the identification, evaluation and management by the court of both hearsay and opinion evidence. Where the parties to a contract have not agreed on an interest rate at which an amount payable under an agreement is to be calculated, this does not render the agreement invalid. The interest rate prescribed from time to time by notice in the Gazette in terms of the Prescribed Rate of Interest Act49 will apply if no rate has been agreed between the parties (provided that the interest rate is not governed by another law).50 A court may (subject to any other agreement between the parties51 and the provisions of the National Credit Act52) grant an order that interest on the judgment amount shall run from a date determined by the court. The court making a finding of damages may give judgment to be calculated on the amount awarded at the rate of interest prescribed in terms of the Prescribed Rate of Interest Act. Unless expressly agreed by the parties to a contract, interest will be payable calculated as simple interest and not as compound interest.53 The rate of interest prescribed in terms of the Prescribed Rate of Interest Act is periodically adjusted and is typically below the prime rate of interest. Characterising the nature of evidence called or proposed and challenging an expert's credentials at an appropriate time are important in balancing the freedom of the parties to determine the conduct of the trial against the need for the judge to intervene in proceedings to ensure that they are conducted in a manner that avoids delay and unwarranted escalation of costs.83 The Supreme Court of Appeal in PricewaterhouseCoopers84 observed that the basic principle of trial practice regarding the calling of witnesses of fact and expert witnesses is that, while a party may generally call its witnesses in any order it likes, it is the usual practice for expert witnesses to be called after witnesses of fact, 'where they are to be called upon to express opinions on the facts dealt with by such witnesses'.85 This practice necessitates identification and characterisation at the earliest possible opportunity of evidence that is being presented to the court. If factual evidence is presented under the guise of expert evidence, it may eventually cause grave problems for the conduct of the trial and the determination of the dispute. It is an established principle that courts and arbitrators are not bound by the opinions of experts.93 As stated in Municipality v. International Parking Management, the court remains the sole arbiter of fact and expert evidence must be weighed up, accepted or rejected by the court in the same way as any other evidence. Satchwell J in Holtzhauzen v. Roodt94 (cited in Municipality v. International Parking Management)95 cautions that 'opinion evidence must not usurp the function of the court. The witness is not permitted to give opinion on the legal or the general merits of the case. The evidence of the opinion of the expert should not be proffered on the ultimate issue'. Whether science and methods that form the subject of expert evidence are novel or not is not the determining factor, but whether the expert evidence of the witness falls within the legitimate bounds of the testimony of an expert witness. The Supreme Court of Appeal has emphasised that an expert may be tendered for cross-examination upon his or her report alone, without additional oral examination, or after only limited questioning, and that, as a rule, the report of an expert witness can be read as the evidence in chief, subject only to supplementary questions necessary for explanation or elaboration of the report.96 Ultimately, it remains for the court to evaluate the testimony that is presented as expert evidence. 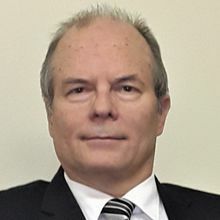 1 Evert van Eeden and Elzaan Rabie are directors at Van Eeden Rabie Inc.
2 Trade Marks Act, 194 of 1993, Section 34(3)(d). 3 See Jowell v. Bramwell-Jones and others  2 All SA 161 (A) 169. 4 Positive conduct that harms the person or property of another is prima facie wrongful – Country Cloud Trading CC v. Member of the Executive Council, Department of Infrastructure Development, Gauteng 2014 (12) BCLR 1397 (CC) Paragraph 22. 5 Country Cloud Trading CC v. Member of the Executive Council, Department of Infrastructure Development, Gauteng 2014 (12) BCLR 1397 (CC) Paragraph 40. See Kruger v. Coetzee 1966 (2) SA 428 A 430 as to the test for negligence. 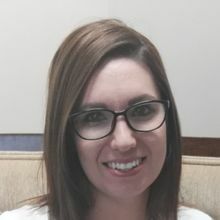 6 Causation posits proof of a causal link between a defendant's actions or omissions and the harm suffered by the plaintiff, determined on a balance of probabilities – see Oppelt v. Head: Health, Department of Health, Provincial Administration: Western Cape 2015 (12) BCLR 1471 (CC) Paragraph 35. 7 Oppelt v. Head: Health, Department of Health, Provincial Administration: Western Cape 2015 (12) BCLR 1471 (CC) Paragraph 34. 8 Country Cloud Trading CC v. Member of the Executive Council, Department of Infrastructure Development, Gauteng 2014 (12) BCLR 1397 (CC) Paragraph 37 and authorities cited in footnote 38. 11 Comprehensive procedures must be followed in terms of the Institution of Legal Proceedings against Certain Organs of State Act, 30 of 2002, when an organ of state is cited in legal proceedings. 12 Sections 59(1) of the Competition Act; Section 111 of the Consumer Protection Act, 68 of 2008. 13 Calculation of capital gains tax in terms of the Income Tax Act 58 of 1962 – see Commissioner for the South African Revenue Service v. Stepney Investments (Pty) Ltd  1 All SA 1 (SCA). 14 Act 58 of 1962, Section 78(1). 15 Act 63 of 1975. 16 Act 108 of 1996. 17 Act 3 of 2000. 18 Act 108 of 1996. 19 Promotion of Administrative Justice Act, 3 of 2000, Section 8(1)(c)(ii)(bb). The requirements for a claim for Constitutional damages were considered in Minister of Police v. Mboweni and another  4 All SA 452 (SCA), and Lee v. Minister for Correctional Services (Treatment Action Campaign and Others As Amici Curiae) 2013 (2) BCLR 129 (CC). 20 Act 42 of 1965. 21 See De Lange v. Presiding Bishop, Methodist Church of South Africa and another 2015 1 SA 106 (SCA); Snowy Owl Properties 284 (Pty) Ltd v. Mziki Shareblock Limited  JOL 37397 (KZP) Paragraph 17, citing Zhongji Development Construction Engineering Company Ltd v. Kamoto Copper Company SARL  4 All SA 617 (SCA) Paragraph 56. 22 Municipality v. International Parking Management (Pty) Limited and Others  JOL 33183 (GSJ) Paragraph 172. 23 Act 42 of 1965 Section 33. 24 Country Cloud Trading CC v. MEC, Department of Infrastructure Development 2015 (1) SA 1 (CC) A Paragraph 22. 25 Pilkington Brothers (SA) (Pty) Ltd v. Lillicrap, Wassenaar and Partners  3 All SA 111 (W) 116. 26 See also Doug Parsons Property Investments (Pty) Ltd v. Erasmus De Klerk Inc 2015 (5) SA 344 (GJ) Paragraph 20; Home Talk Developments (Pty) Ltd and Others v. Ekurhuleni Metropolitan Municipality 2018 (1) SA 391 (SCA). 27 Country Cloud Trading CC v. Member of the Executive Council, Department of Infrastructure Development, Gauteng 2014 (12) BCLR 1397 (CC) Paragraph 24. 28 See Savoi and others v. National Director of Public Prosecutions and another 2014 (5) BCLR 606 (CC) Paragraph 37. 29 1993 2 Lloyd's Reporter 68 (QB). 30 Court of Appeal (Civil Division)  1 Lloyd's Rep 455. 31  2 All SA 403 (SCA). 32 PricewaterhouseCoopers Inc and Others v. National Potato Co-operative Ltd 2004 (9) BCLR 930 (SCA) Paragraph 99. 33 Commissioner for the South African Revenue Service v. Stepney Investments (Pty) Ltd  1 All SA 1 (SCA) Paragraph 28. 34 Ntsele v. MEC for Health, Gauteng Provincial Government  2 All SA 356 (GSJ) Paragraph 92. 35 Consolidated Rock Machinery Consolidated (Pty) Ltd t/a Bobcat SA v. Mechanical Cleaning Services CC & another  JOL 17621 (T) Paragraph 13. 36 Philip Robinson Motors (Pty) Ltd v. N. M. Dada (Pty) Ltd 1975 (2) SA 420 (A.D.) 28. The Appellate Division is now referred to as the Supreme Court of Appeal. 37 GB Bradfield, Christie's Law of Contract in South Africa, 7th ed (2016) 657. 38 JM Potgieter, L Steynberg and TB Floyd, Law of Damages, 3rd ed, Juta (2012) 92. 39 See Commissioner for the South African Revenue Service v. Stepney Investments (Pty) Ltd  1 All SA 1 (SCA), Paragraph 22. 40 Commissioner for the South African Revenue Service v. Stepney Investments (Pty) Ltd  1 All SA 1 (SCA) Paragraph 28. 41 Ntsele v. MEC for Health, Gauteng Provincial Government  2 All SA 356 (GSJ) Paragraph 92. 42 See Commissioner for the South African Revenue Service v. Stepney Investments (Pty) Ltd  1 All SA 1 (SCA). 44 Commissioner for the South African Revenue Service v. Stepney Investments (Pty) Ltd  1 All SA 1 (SCA) Paragraph 28. 45 PricewaterhouseCoopers Incorporated and others v. National Potato Co-operative Ltd and another  2 All SA 403 (SCA) Paragraph 118. 46 Oosthuizen v. Member of the Executive Council & another  JOL 18165 (T); Nienaber v. RAF  JOL 28355 (GSJ) Paragraph 4. 47 See Reay and another v. Netcare (Pty) Ltd t/a Umhlanga Hospital and Others  4 All SA 195 (KZP) Paragraph 53, where the trial judge, in the context of an agreement between the parties as to a claim for loss of support, was requested by the parties to determine the basis of the calculations pertaining to the loss of support to enable the actuaries to determine the loss and to give directions and specify relevant assumptions. 48 Zelenyck v. Avnit  JOL 23748 (GNP). 49 Act 55 of 1975. 50 See Basson and others v. Hanna 2017 (3) SA 22 (SCA) Paragraph 16. 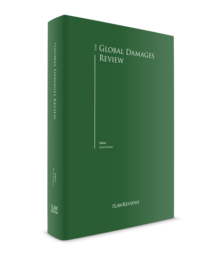 51 See JM Potgieter, L Steynberg and TB Floyd, Law of Damages, 3rd ed, Juta (2012), 205. 52 Act 34 of 2005. 53 Euro Blitz 21 (Pty) Ltd and another v. Secena Aircraft Investments CC  JOL 32990 (SCA). 54 Michael and another v. Linksfield Park Clinic (Pty) Ltd and another 2001 (3) SA 1188 (SCA) Paragraph 5. 55 See Reay and another v. Netcare (Pty) Ltd t/a Umhlanga Hospital and others  4 All SA 195 (KZP) Paragraph 53. 56 Coopers 370. See generally M Dendy et al 'Evidence' 'Expert evidence' LAWSA 3rd ed Vol 18. 57 2010 (5) SA 203 211. 58 Zeffertt, Paizes and Skeen, The South African Law of Evidence, Second Edition (2009), LexisNexis 330. 59 The Supreme Court of Appeal in PricewaterhouseCoopers Incorporated and others v. National Potato Co-operative Ltd and another  2 All SA 403 (SCA) Paragraph 99 also cites with approval the judgment of Justice Marie St-Pierre in Wightman v. Widdrington (Succession de) 2013 QCCA 1187 (CanLII). 60 For the factors that the court may consider in determining whether hearsay evidence should be admitted, see Section 3 of the Law of Evidence Amendment Act 45 of 1988 and the discussion thereof by DT Zeffert and AP Paizes, The South African Law of Evidence, 2nd ed, LexisNexis (2009) 389. 61 PricewaterhouseCoopers Incorporated and others v. National Potato Co-operative Ltd and another  2 All SA 403 (SCA) Paragraph 96. 62 1976 (3) SA 370. 63 Coopers (South Africa) (Pty) Ltd v. Deutsche Gesellschaft Für Schädlingsbekämpfung MBH 1976 (3) SA 352 (A) 371. 64 2010 (5) SA 203 (WCC) 211-212. 65 2010 (5) SA 203 (WCC) 212. 66 That is to say, the 'reasonableness of imposing liability' – see Masstores (Pty) Ltd v. Pick N Pay Retailers (Pty) Ltd 2017 (1) SA 613 (CC) Paragraph 48. 67 Michael and another v. Linksfield Park Clinic (Pty) Ltd and another 2001 (3) SA 1188 (SCA) Paragraph 34. 68 Louwrens v. Oldwage  1 All SA 197 (SCA) Paragraph 27. 69 S v. Le Grange 2009 (1) SACR 125 Paragraph 21, cited in City of Johannesburg Metropolitan Council v. Ngobeni  JOL 29134 (SCA) Paragraph 31-33. 70 In PricewaterhouseCoopers Incorporated and others v. National Potato Co-operative Ltd and another Paragraph 434-435. 71 2015] 2 All SA 403 (SCA) 434. 72 In PricewaterhouseCoopers Incorporated and others v. National Potato Co-operative Ltd and another Paragraph 78. 74 Schneider NO and others v. AA and another 2010 (5) SA 203 (WCC) 220. See also Menday v. Protea Assurance Co Ltd  1 All SA 535 (E). 75 Schneider NO and others v. AA and another 2010 (5) SA 203 (WCC) 220. PricewaterhouseCoopers Incorporated and others v. National Potato Co-operative Ltd and another. 76 Schneider NO and Others v. AA and another 2010 (5) SA 203 (WCC) 220. 77 Uniform Rules of Court Rule ٣٦(٩)(a); Coopers (South Africa) (Pty) Ltd v. Deutsche Gesellschaft Für Schädlingsbekämpfung MBH ١٩٧٦ (٣) SA ٣٥٢ (A) Paragraph ٣٧٠. 78 Uniform Rules of Court Rule 36(9); Coopers (South Africa) (Pty) Ltd v. Deutsche Gesellschaft Für Schädlingsbekämpfung MBH 1976 (3) SA 352 (A) Paragraph 370. 79 See the practice directions for the various courts. 80 PricewaterhouseCoopers Incorporated and others v. National Potato Co-operative Ltd and another Paragraph 101. 81 See generally P van den Heever Objections in Civil Litigation Juta (2010) 67. 82 See PricewaterhouseCoopers Incorporated and others v. National Potato Co-operative Ltd and another Paragraph 158 – 159. 83 PricewaterhouseCoopers Incorporated and others v. National Potato Co-operative Ltd and another  2 All SA 403 (SCA) Paragraph 160. 84 Citing Tristram Hodgkinson Expert Evidence : Law and Practice 106–7. 85 PricewaterhouseCoopers Incorporated and others v. National Potato Co-operative Ltd and another, Paragraph 80. 86 PricewaterhouseCoopers Incorporated and others v. National Potato Co-operative Ltd and another Paragraph 80. 87 PricewaterhouseCoopers Incorporated and others v. National Potato Co-operative Ltd and another Paragraph 81. 88 PricewaterhouseCoopers Incorporated and others v. National Potato Co-operative Ltd and another Paragraph 81. 89 Consolidated Rock Machinery (Pty) Ltd t/a Bobcat SA v. Mechanical Cleaning Services CC & another  JOL 17621 (T) Paragraph 20. 90 Consolidated Rock Machinery (Pty) Ltd t/a Bobcat SA v. Mechanical Cleaning Services CC & another  JOL 17621 (T) 17. 92 See Klue and another v. Provincial Administration, Cape 1966 (2) SA 561 (E) 563, cited in Consolidated Rock Machinery 17. 93 Municipality v. International Parking Management (Pty) Limited and Others  JOL 33183 (GSJ) Paragraph 172. 94 1997 (4) SA 766 (W) at 773. 95 Municipality v. International Parking Management (Pty) Limited and Others  JOL 33183 (GSJ) Paragraph 171. 96 See PricewaterhouseCoopers Incorporated and others v. National Potato Co-operative Ltd and another Paragraph 161 and sources cited there. 97 GB Bradfield 7th ed (2016) 616. See Basson and Others v. Hanna 2017 (3) SA 22 (SCA) Paragraph 22. 98 1981 (4) SA 1 (A). 99 See Basson and Others v. Hanna 2017 (3) SA 22 (SCA). 100 Du Plessis NO v. Phelps  2 All SA 469 (C) 475. See also Symington and others v. Pretoria-Oos Privaat Hospitaal Bedryfs (Pty) Ltd  4 All SA 403 (SCA); Derbigum Manufacturing (Pty) Ltd v. Callegaro and Others  JOL 31495 (GSJ) 9.